Cheese makers and cheese lovers from across the globe are attending the Hong Kong International Cheese Festival this week, where a cheese maker from Ayrshire will fly the flag for Scotland. Tricia Bey (pictured above) is the owner of Barwheys Dairy, where she makes her gold-medal winning Barwheys cheese from her small herd of Ayrshire cattle, and she will share her expertise with some of the finest cheese makers in the world at the Hong Kong event. The Festival runs from 18-21 April. Tricia is the only female cheese maker to present at the event, and is one of four experts who will run master classes, imparting their cheese making skills to a global audience. Held at Hullett House in Hong Kong, the event will showcase 120 artisanal cheeses through gourmet dinners, tastings, master classes and a traditional cheese market.Barwheys cheese will also compete with cheese from Italy, France and Holland in the blind tasting competition – ‘The Great International Cheese Knockout’. Barwheys cheese is made exclusively from the unpasteurised milk of Tricia’s cattle, which graze on the green pastures that surround the dairy in West Ayrshire. The cheese is made by hand and bandaged in traditional cheesecloth and carefully aged on wooden shelves for between ten and 24 months. The cheese is used by a number of Michelin starred chefs in Scotland. Tricia said: “I was thrilled to be asked to attend the International Cheese Festival in Hong Kong, giving us the opportunity to share our Ayrshire cheese with cheese lovers from across the world. I’m a life-long lover of fine local food and am delighted that, having built the dairy from scratch in 2008, we’re now taking Barwheys cheese to an international stage. Tricia Bey had a successful career as a Partner in an international consultancy firm, prior to moving to the west of Scotland. As a lifelong lover of fine local food she was inspired to reinvigorate the local cheese making tradition of the family farm. In 2008 she started the task of designing and constructing a dairy and building up a herd of pedigree Ayrshire cattle. 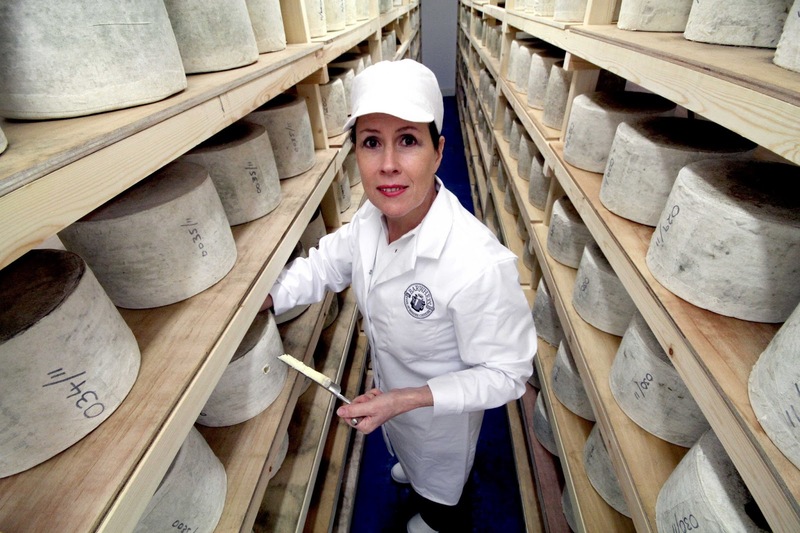 She made her first commercial cheese in 2010 and in 2012, Barwheys won a Gold medal at the Royal Highland Show, Scotland’s most prestigious agricultural show, and a Gold medal at the British Cheese Awards. Barwheys Cheese is made exclusively from the unpasteurised milk of Tricia’s small herd of Ayrshire cattle, which graze on the green pastures that surround the dairy. The cheese is made by hand and are bandaged in traditional cheesecloth and carefully aged on wooden shelves for between ten and twenty-four months. The award-winning cheese is used by a number of Michelin starred chefs in Scotland, and Tricia’s Barwheys cheddar cheese has appeared on Celebrity Great British Bake Off on the BBC.